THUNDERBOLT 4G. UNBEATABLE VALUE. Compatible With Phone Batteries. This is a new, unused case, with no signs of wear. Thunderbolt 4G. ​​OEM Authentic HTC Product. OEM HTC Battery. HTC Part No. Litium-Ion Battery, 1400 mAh 3.7V 5.28Wh. About This Product Accessory Only. Phone not included. HTC Thunderbolt. No new cover needed. BTE6400 EXTENDED OEM Battery(DOOR DOES NOT INCLUDEED). Lithium Ion Batteries have a shelf life of up to 10 years and with proper care, should last 12 – 24 months. Care for your new product. About Our Products. 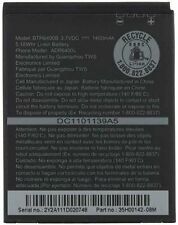 NEW ORIGINAL OEM HTC THUNDERBOLT 4G BTR6400B BATTERY VERIZON. Condition is New. Shipped with USPS First Class Package. BTE6400 EXTENDED OEM Battery(DOOR IS NOT INCLUDEED). Lithium Ion Batteries have a shelf life of up to 10 years and with proper care, should last 12 – 24 months. Care for your new product. About Our Products. THIS IS FOR ONE GENUINE OEM HTC BTR6400B. Part Number: BTR6400B. Other Part Numbers: 35H00142-04M. BTR6400B STANDARD OEM Battery. Lithium Ion Batteries have a shelf life of up to 10 years and with proper care, should last 12 – 24 months. Care for your new product. About Our Products. THIS IS FOR ONE GENUINE OEM HTC BTE6400B. EXTENDED OEM BATTERY. EXTENDED BATTERY. Other Part Numbers: 35H00149-01M. Every phone has its battery issues. COMPATIBLE WITH BATTERY : BTR6400B AS WELL AS OTHER THUNDERBOLT AND MYTOUCH BATTERIES. This Superior battery is manufactured from the very best cells available, we did not skimp on quality, this is as good or better than the original,and at our price it's an unbeatable deal. 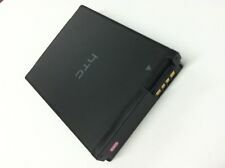 HTC Thunderbolt Extended Battery with Cover. These batteries may fit other HTC model phones. The picture is of the actual battery. Battery Type - Li-ion. We fully understand how critical it is to keep communications as smooth and quick as possible. Many issues could be resolved by themselves thru well communications. If product is tested defective, we will replace it with a new working item. 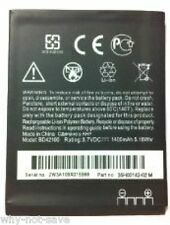 Included Spare battery is marked HTC Thunderbolt. P art Numbers (P/N) : For HTC : 35H00142-02M, 35H00142-03M, 35H00142-04M, 35H00142-08M, 35H00142-10M, 35H00142-12M, 35H00142-13M, 35H00142-14M, 35H00149-01M, BD42100, BTR6325, BTR6325B. C ompatible For . HTC ADR6425, ADR6425LVW, Desire SV, Droid Incredible HD, Magni, Rezone, Rezound, Rezound 4G LTE, T326e, ThunderBolt 2, Vigor. P art Numbers (P/N) : For HTC : 35H00168-02M, 35H00168-03M, 35H00168-06M, BH98100, BTR6425, BTR6425B. Make & Model:HTC BTR-6400B. Manufacture part number:BTR-6400B. Part# BTR-6400B. Compatible with HTC Phone model: THUNDERBOLT,MY TOUCH 4G. Authentic Battery for the HTC. Original equipment battery manufactured by HTC. MPN: BTR6400B. Part Number: BTR6400B. Warranty Information. condition: New. Our support team is highly dedicated to handle all your needs. Battery for Htc ThunderBolt 4 g compatible Li-ion 1100 mAh. 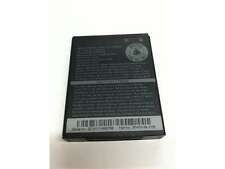 Battery for HTC ThunderBolt 4G. models Compatibility: ThunderBolt 4G. Capacity: 1100 mAh. Cell Phone Batteries. Cell GEL TPU Cases. Cell Phone Skins. THIS IS FOR TWO GENUINE OEM HTC BTR6400B. Part Number: BTR6400B. Capacity: 1400mAh. Other Part Numbers: 35H00142-04M.